Designed and created for the baristas with limited space, the Appia II 1 group espresso machine is able to serve delicious coffee and espresso beverages. The best technology is concentrated within a small space, yet still offers high reliability and performance. Incorporating Nuova Simonelli’s innovation and technology, the Appia II 1 group guarantees to provide excellent performance while taking up on 40cm of counter space. The espresso machine is most suitable for low volume locations wishing to provide their customers with high quality espresso beverages. Soft and creamy espresso shots are guaranteed every time with the innovative Soft Infusion System (SIS), whilst the optional autosteam wand gives baristas the chance to create velvety milk based drinks. 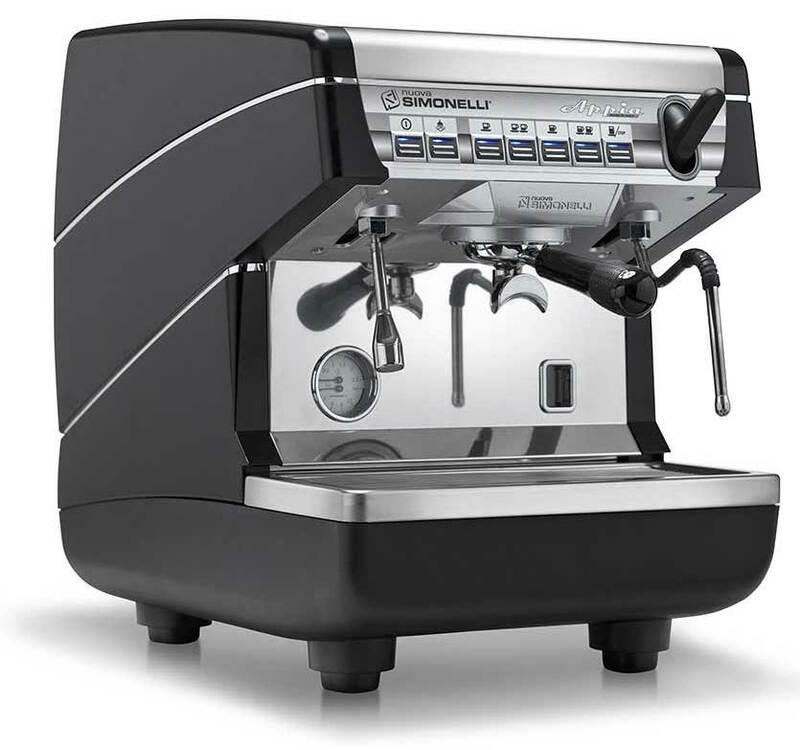 The Appia II 1 group features raised groups, allowing baristas to brew their espresso shots directly into a large cup.